A gas grill regulator-and-hose assembly controls the flow of propane from the tank to the burners inside your grill. The regulator both modulates the flow of gas and also serves as a safety mechanism that closes automatically by sensing pressure changes if there is a break in the gas line. Effective grilling may require installing a new gas regulator. Over time, the regulator and hose, which typically are permanently attached to each other, can become worn and require a replacement, which is available at hardware stores. There may also be instances where you need to temporarily remove the regulator in order to reset it. Here is how to accomplish the removal of the propane regulator on your gas grill. A propane regulator is usually combined with the propane hose. Put work gloves to protect your hands from sharp metal edges on the grill. Close the burner controls on the grill if they aren't already closed. Shut off the gas at the propane tank, twisting the valve knob clockwise by hand until tight. Unscrew the black coupler knob attached to the valve stem on your propane tank, turning it counterclockwise by hand. Unless you plan to replace the entire hose-and-regulator assembly, do not use pliers or other tools to loosen the coupler, which is made of plastic that can crack. 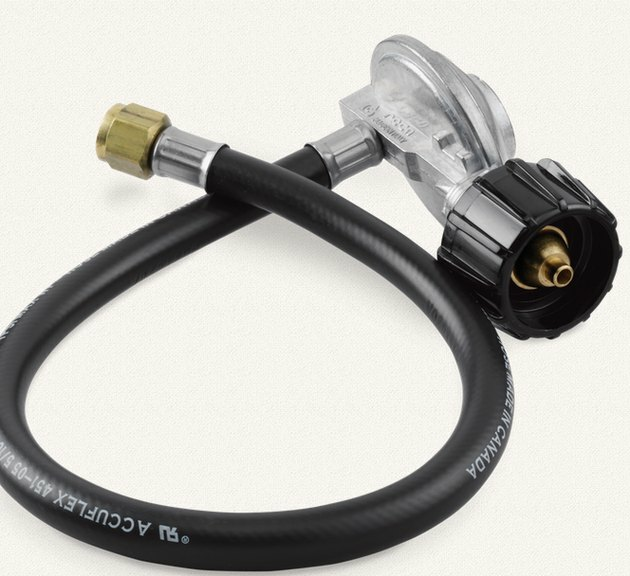 Twist the mounting nut on the regulator hose counterclockwise with pliers to disconnect the hose from the grill. 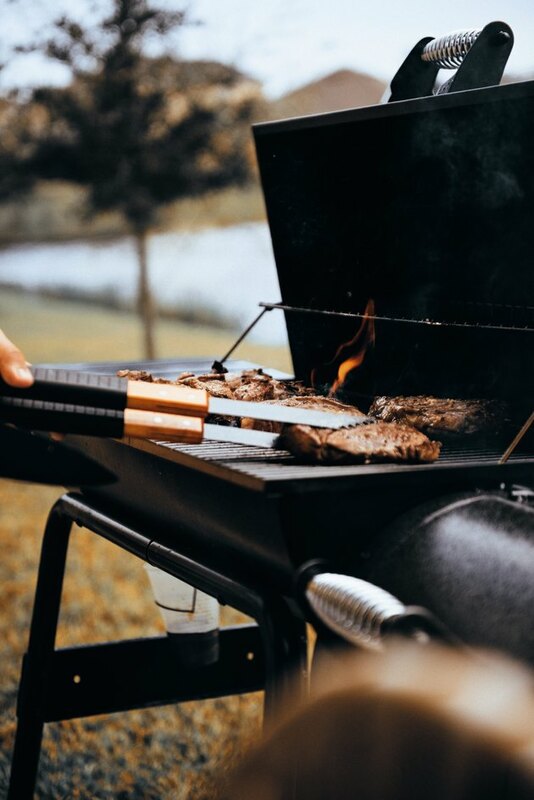 Depending on your model, you may have a two-hose regulator connected to two burners or a single hose attached to the grill. How Do I Replace a Ducane Grill Burner?